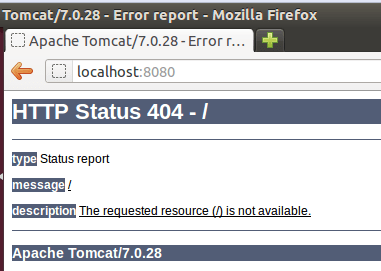 Although the server states it has started (albeit with errors in the console) when you browser to localhost:8080 to get to the Tomcat welcome page it shows an “HTTP Status 404 – /” with the description “The requested resource (/) is not available.“. I.T software professional always studying and applying the knowledge gained and one way of doing this is to blog. Danny also has participates in a part time project called Energy@Home [http://code.google.com/p/energyathome/] for monitoring energy usage on a premise. Dedicated to I.T since studying pure Information Technology since the age of 16, Danny Tsang working in the field that he has aimed for since leaving school. 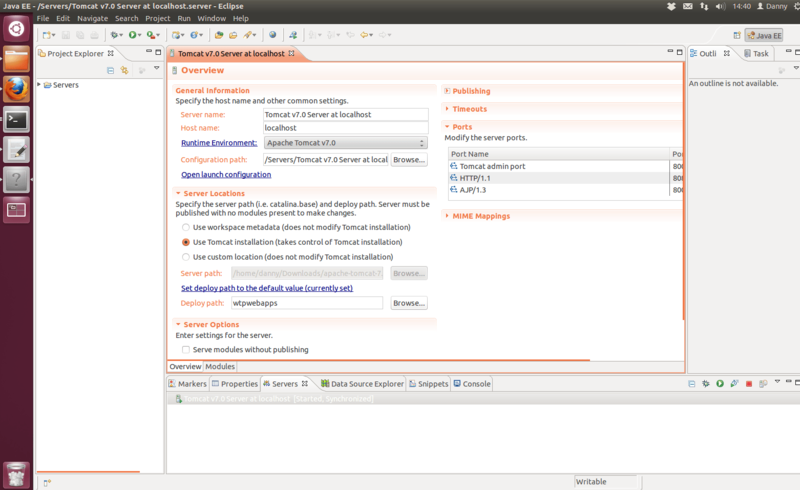 View all posts by Danny →	This entry was posted in Java, Linux and tagged apache, Eclipse, Tomcat, Ubuntu. Bookmark the permalink.